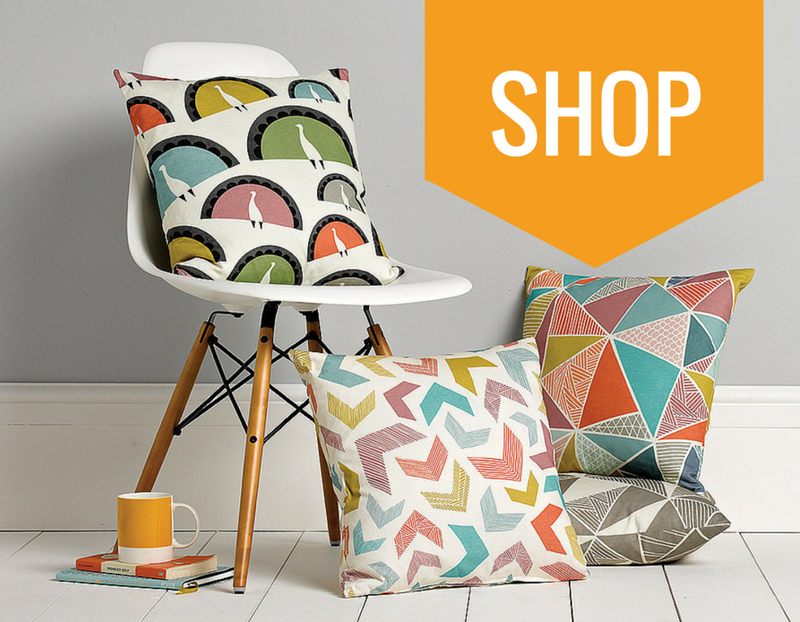 Welcome to For Keeps – an online collection of homeware, gifts and art prints to transform your house into a home you love. You’ve probably seen them around; in cafe’s, shop windows and adorning the most fabulous coffee table in your friends place. 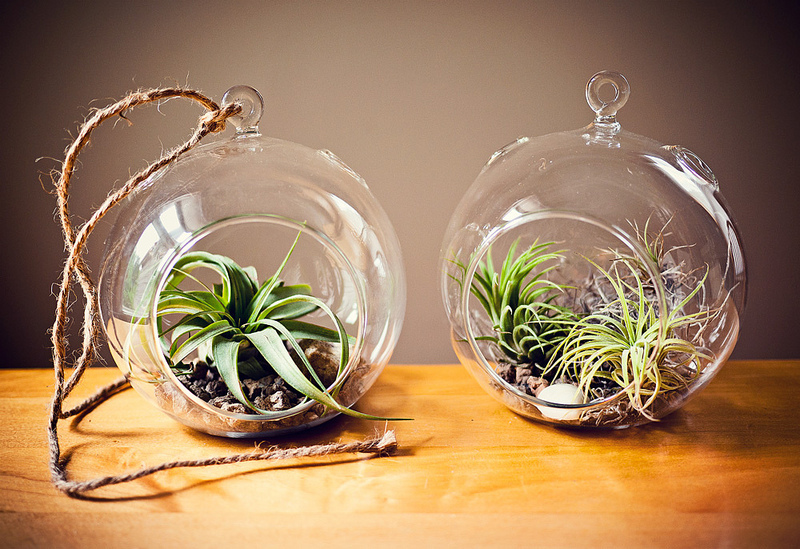 Terrariums are very much on trend. 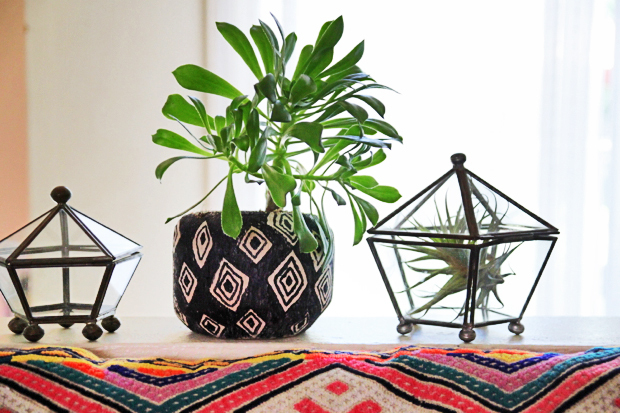 And it’s no wonder why when they look so effortlessly cool — the perfect touch of green decor to any house or apartment; on desks, night tables, and other places where space is limited. A terrarium is basically a mini indoor garden in a glass container. Inside the glass, the plant requires low maintenance — perfect for people who don’t have a “green thumb”, or those short of space. I think, some people get a little overwhelmed when thinking about creating a terrarium. What plants does one use? How do I make it look like the one in the store? It’s seriously easy. The first thing to know is that you can use a wide variety of plants. In fact almost any small indoor plant will work perfectly. Here is a guide to choose the right plant for you! These will all be available at your local gardening store. Tillandsia or air plants thrive on neglect, and draw the little moisture they need from the air around them. 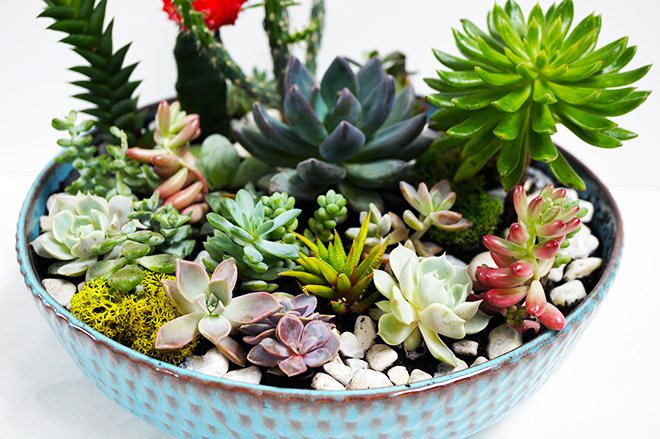 Succulents such as Hen and Chicks, are ridiculously adorable, and very low-maintenance. Cacti, like air plants, only need the tiniest bit of care in order to thrive. They also come in a wide variety of shapes, sizes and textures, so you can create little desert scenes to your heart’s content. Hardy Mediterranean herbs like oregano, and any variety of thyme. Woolly or creeping thyme work really well as creepers, and the more fragrant species will add scent to your room as well as beauty. Pincushion plants (Nertera granadensis) are ridiculously pretty. It does best in spaces that don’t get to hot (65F-70F), and needs a fair bit of light, but keep it out of direct sunshine. Most Tillandsia species are also very cold-hardy, and it’s unlikely that your indoor space will frost over or get cold enough to kill them off. What container do I use? 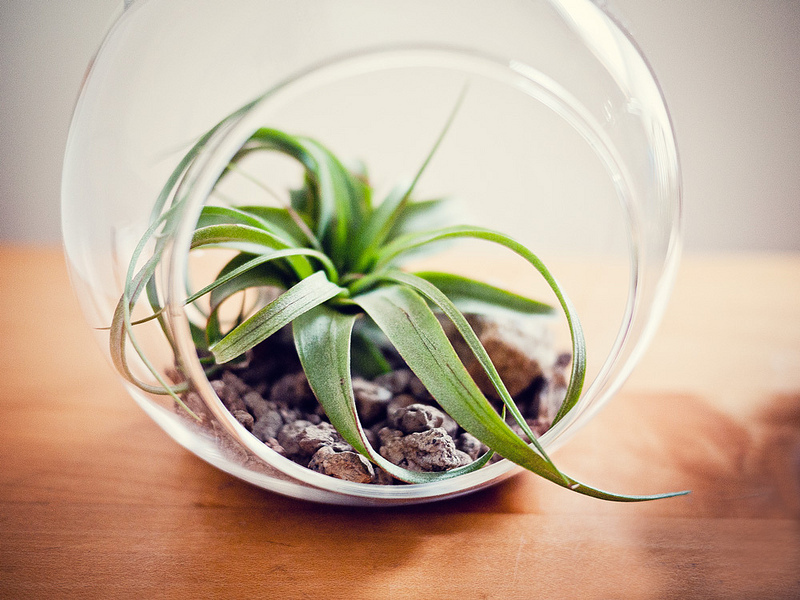 Below is a quick and easy ‘how to’ guide to help you create your air plant terrarium. Step 1: Once you have your materials gathered, just cover the bottom of the globe with your sand, or other base material. Step2: Add your air plant on top and decorate the surrounds with shells on other bits. Tillandsia air plants do not need soil to survive. They should be doused in water once a week. This is easily done, just remove from the glass terrarium, run under tap water and place back in the terrarium to dry out. 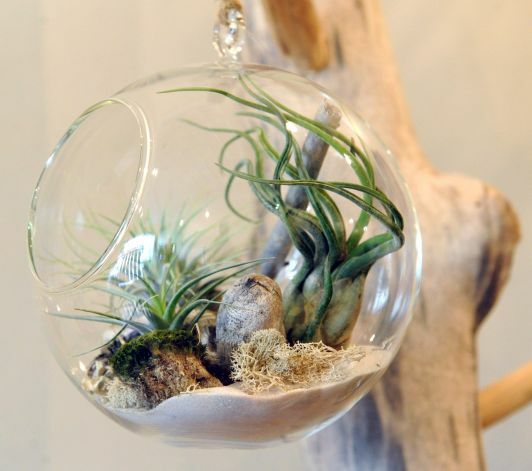 A terrarium will add a bit of outdoor beauty and peace to any living space.